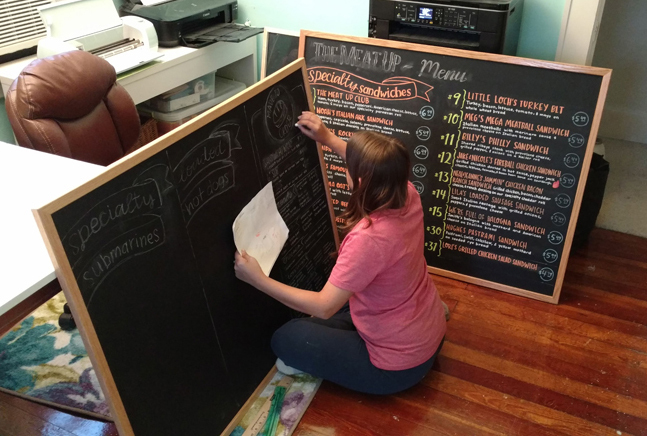 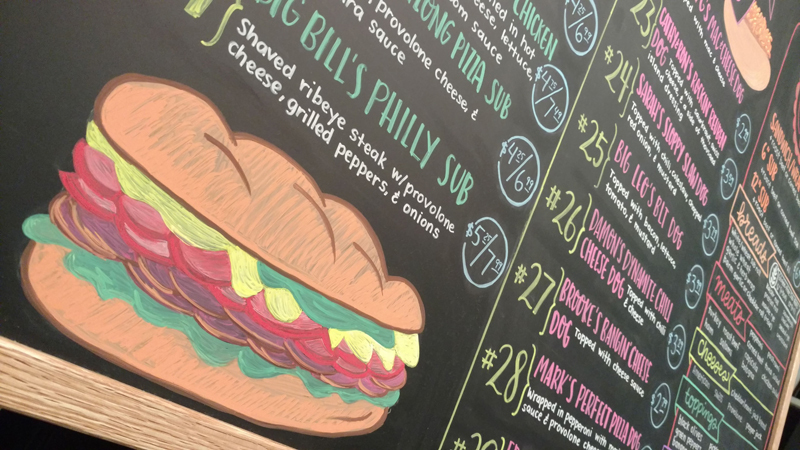 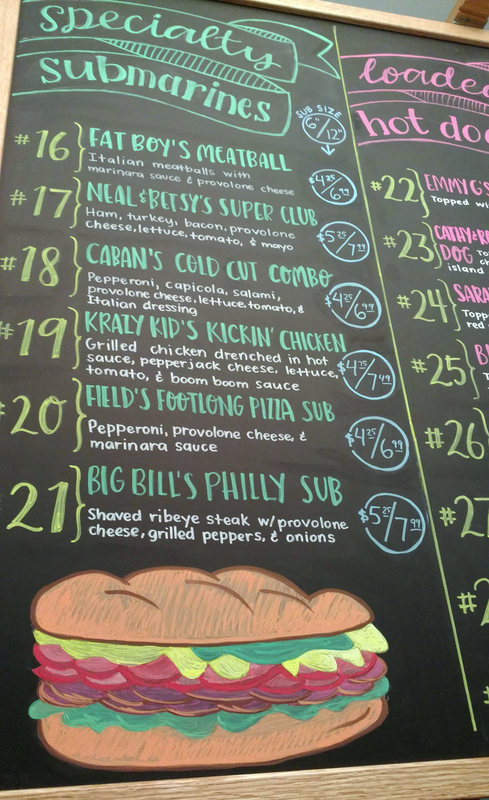 During September of 2018, I was hired to design 3 chalkboard menus for The Meat Up in Fairview, PA. 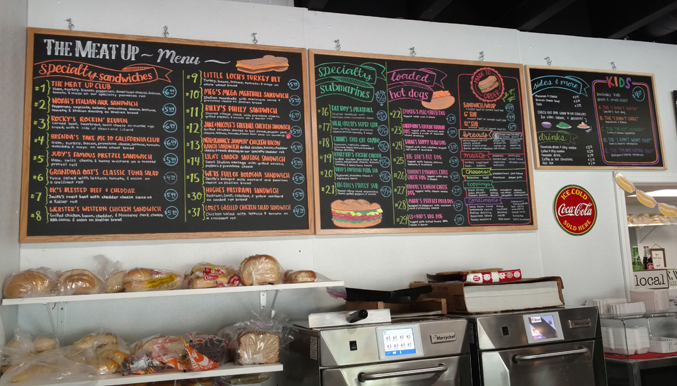 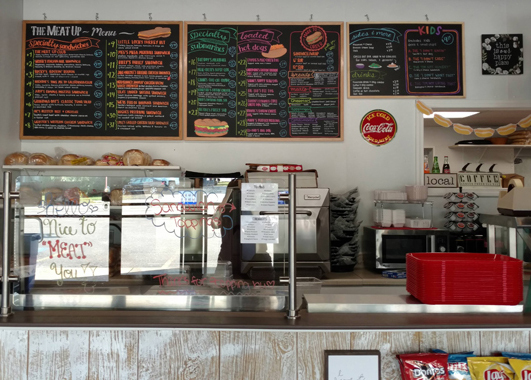 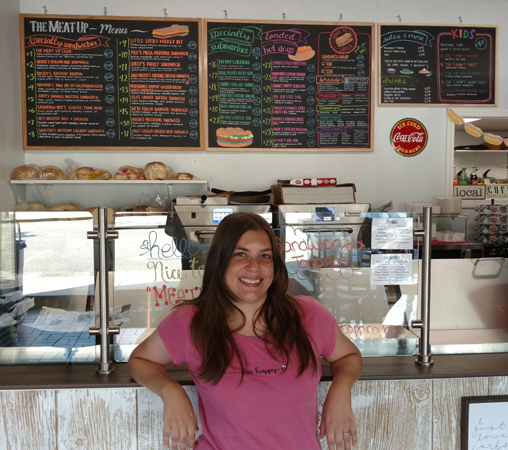 The Meat Up is a cute sandwich shop owned by Shane and Roxanne Kleckner. 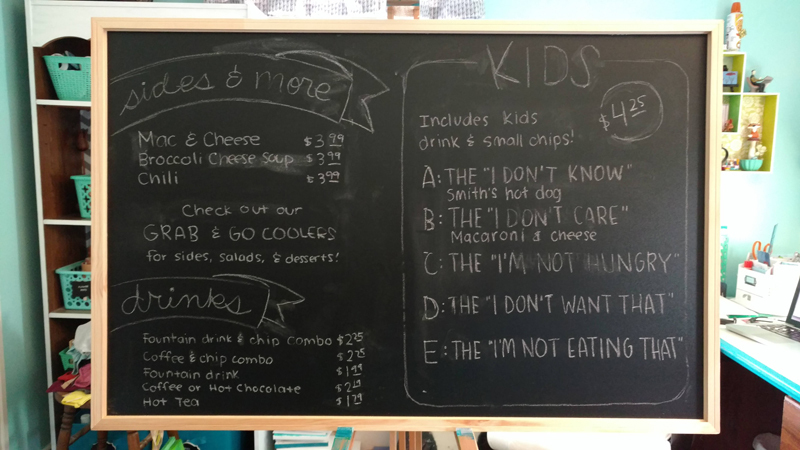 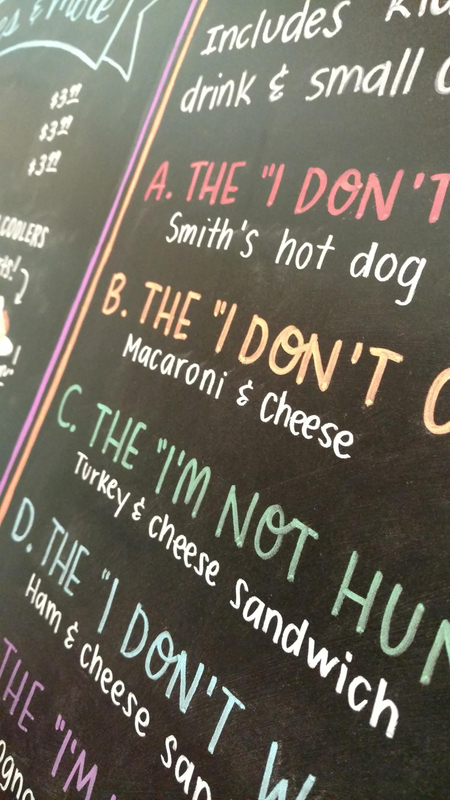 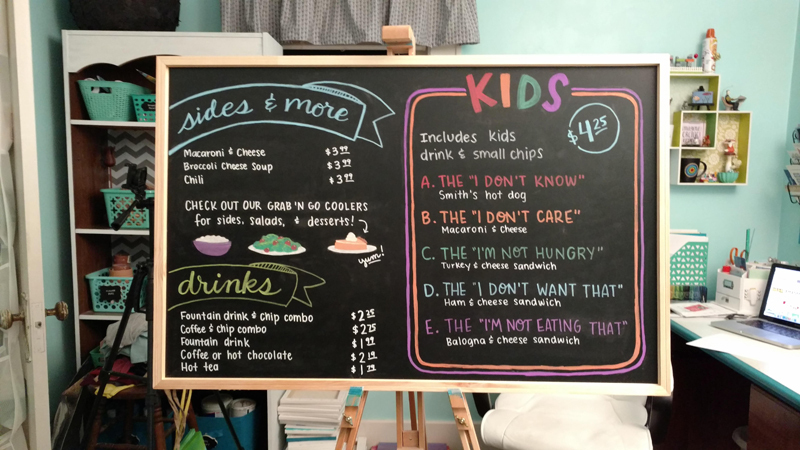 They wanted something fun and colorful, as well as easy to read, considering that they had a LOT of menu items to fit up on the chalkboards! 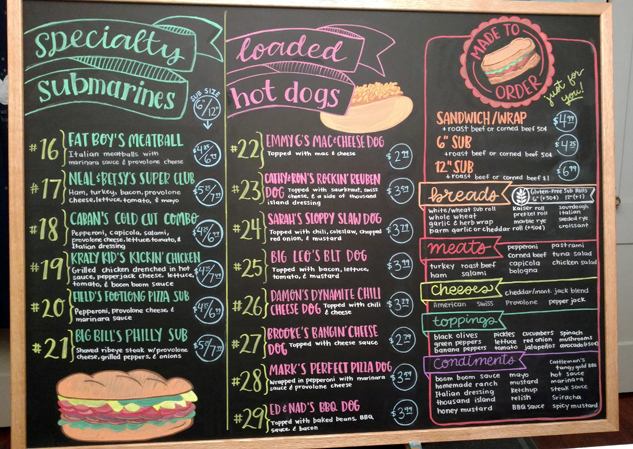 In order to accomplish this, I used color and white space to distinguish categories and menu items from each other. 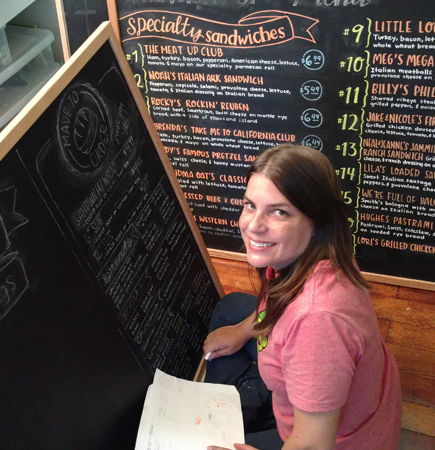 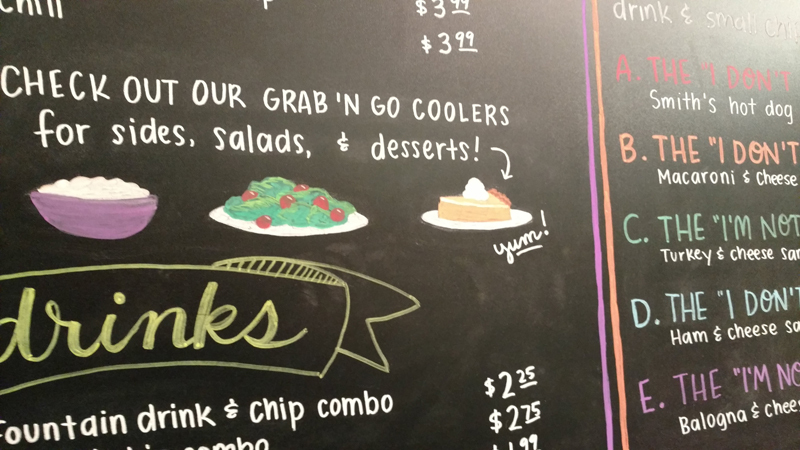 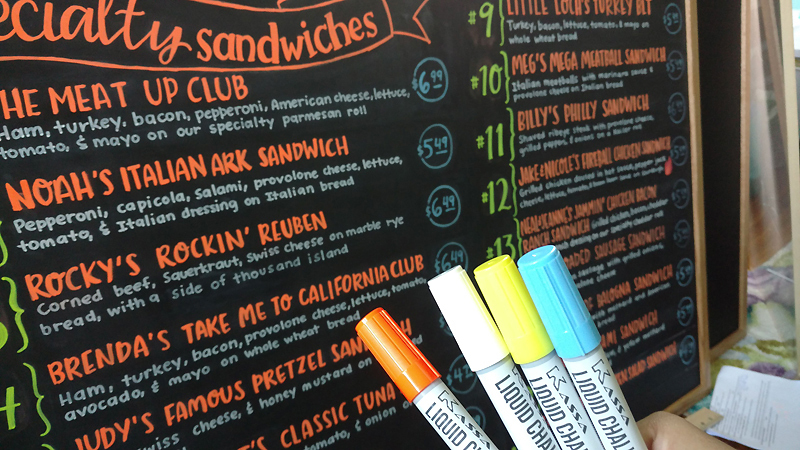 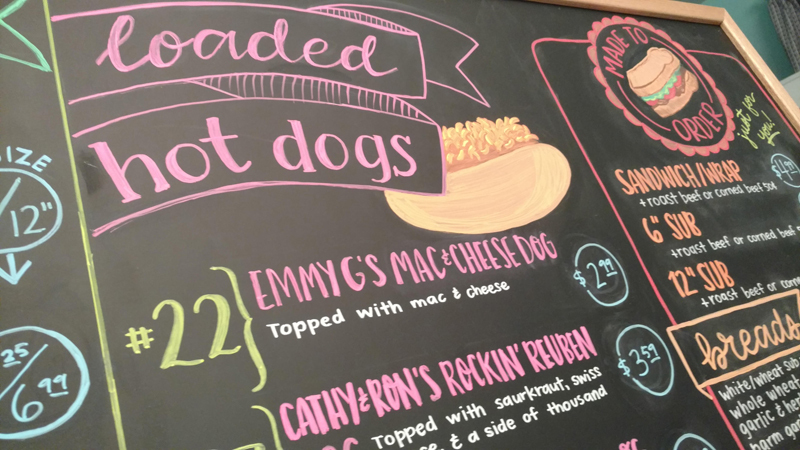 I also added some hand-drawn food elements in the chalkboards’ empty spaces. 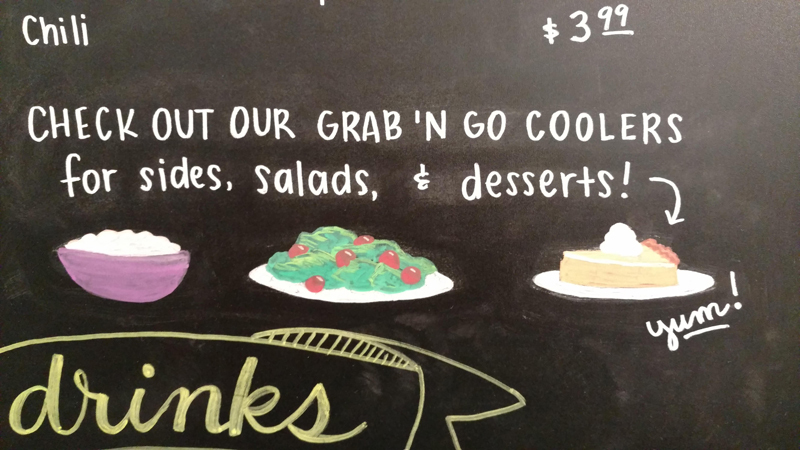 I also illustrated their kids’ coloring and activity page. 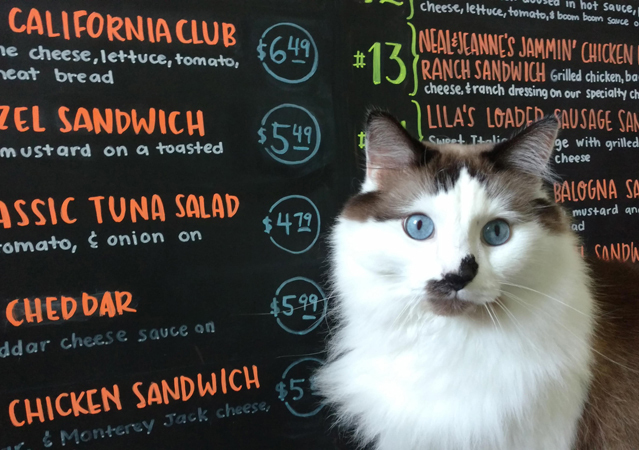 I included cats and dogs sitting at a table in The Meat Up eating their sandwiches.